Support for developing the List of Selected Endemic Terrestrial Plant and Animal Taxa of South-East Europe (hereinafter: List of Endemic Taxa of SEE) was provided by the Open Regional Fund for South-East Europe – Biodiversity (GIZ/ORF-BD), as part of its sub-project „Regional Network for Biodiversity Information Management and Reporting (BIMR)“ funded by the German Federal Ministry for Economic Cooperation and Development (BMZ) and implemented by Deutsche Gesellschaft für Internationale Zusammenarbeit (GIZ) GmbH. The South-East Europe (SEE) is exceptionally rich in biodiversity and hosts a variety of species and ecosystems. A number of animal and plant species occur only in the SEE. These endemic taxa (species and subspecies) are among the most attractive living organisms of the region; they are unique to a limited geographic location and highly vulnerable. 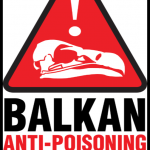 The main goal of developing the List of Endemic Taxa of SEE is to record all taxa (species and subspecies) described on the territory of SEE economies (or in their immediate vicinity) whose present distributions are restricted to the Western Balkan region. Data was compiled on the basis of direct review of a large number of published monographs and articles containing a scientific description of a particular taxon. From the compiled literature, the original (verbatim) scientific name (under which it is described) and localities where it was first found (classic locality) were extracted. Compiled data were inserted into Excel templates (one for taxons and one for occurrences), with columns compatible with Darwin Core. The current List of Endemic Taxa of SEE includes vascular plants, mammals, amphibians, reptiles and beetles. 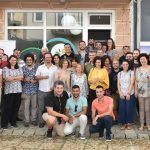 The Regional Expert Team which developed the list of Balkans endemics consists of 14 taxonomists (5 botanists, 1 mammologist, 2 herpetologists and 5 coleopterologists) and 1 GIS analyst. 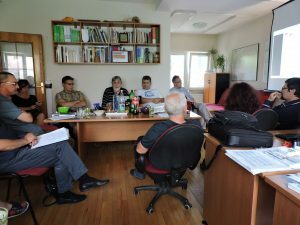 A number of taxonomists, experts for Balkan flora and fauna, were also consulted. As a result, there are nearly 2.200 endemic taxa (from selected groups) described from the SEE region; 1.598 species and 576 subspecies. Almost 2.500 classic localities were spatially determined, of which 2.430 were georeferenced (i.e. have exact coordinates) with accuracy ranging from 50 to 10.000 m.
Cumulative and national lists of taxa (with only taxon names and general distributions) were provided to the appropriate national governmental authorities (ministries in charge of environment) in SEE economies. The data were collected and structured according to internationally accepted standards (Darwin Core) which makes it eligible for publishing on the GBIF network. 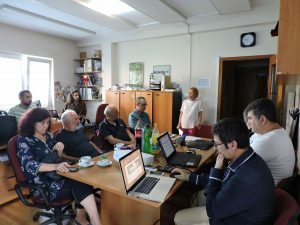 Hence, the implementing partner of this activity, Macedonian Ecological Society (MES), possesses appropriate access rights and technical capabilities for publishing data directly to the GBIF database. 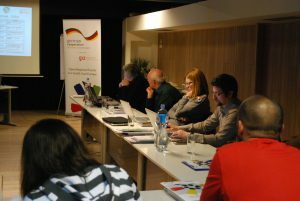 It is expected that the list and the data prepared and provided in the framework of this activity will need some corrections in meantime. The completed inventory of living forms of the SEE region is far from sufficiently explored. Discovery of new species of beetles and plants is very likely. Also it is expected that further field work will enable better insight into the distribution of taxa from the current list. Adding newly discovered species, completing distributions of taxa, eventual data correction are some of the activities foreseen in the maintenance of the database. All these activities will be performed by IT experts from MES, according to the instructions and with consent of Regional Expert Team that compiled the data. The data will be corrected on a local database (within MES) using web services automatically synchronized with the GBIF database. 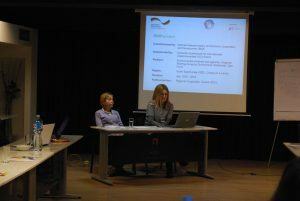 GIZ ORF-BD together with MES will also communicate this information via email to all national institutions (in charge of BIS maintenance) from the SEE region which received the original data. The List of Endemic Taxa of SEE will have to be updated by locally engaged people in the national institutions.